Discover your version of an endless California through a quick nine holes, handcrafted cocktails or a dip in westdrift's lush outdoor pool. East coast meets west coast at westdrift's lush outdoor pool – an oasis with private cabanas, seasonal cocktails, and plenty of room to play. A highlight amenity at westdrift Manhattan Beach is a Crossfit-inspired fitness facility that boasts cardiovascular equipment with personal TVs, free weights, and key Crossfit equipment including kettlebells. The westdrift golf course is perfectly situated in South Bay. The 9-hole course offers an amazing gold experience year-round in the heart of Southern California’s most popular beach side destination. 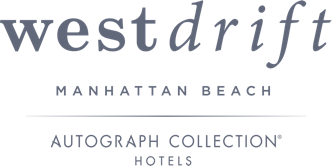 westdrift resides in the heart of South Bay's beloved Manhattan Beach - one of the most charming and sophisticated beach towns in California.